These criminal appeals FAQs provide some general yet helpful information regarding how the appeals process works in Colorado. If you would like more specific information regarding your case, call Front Range Criminal Defense Lawyer Christopher Griffin. Check out these criminal appeals FAQs for some helpful information regarding appeals cases in Colorado. For more info, call Christopher Griffin. Q: Who can file an appeal after a conviction? A: By law, anyone who was convicted by a judge or jury at trial has a right to appeal the conviction. If, however, a person’s conviction is the result of him pleading guilty (because, for instance, he accepted a plea deal in his case), this individual will not necessarily have an automatic right to appeal his conviction. It’s important to note that appeals are only really legal options for defendants after convictions. In other words, prosecutors cannot appeal the decision of criminal cases when people have been acquitted of criminal charges, as this would violate the Double Jeopardy Clause (which is included as part of the Fifth Amendment). Q: Where is an appeals case heard/decided? A: In Colorado, appeals cases are filed with and decided by the Colorado Court of Appeals. This Court generally has jurisdiction over appeals to decisions made by Colorado District Courts, the Denver Juvenile Court and the Denver Probate Court. When appeals regarding the decisions of the Colorado Court of Appeals are filed, these cases are heard by the Colorado Supreme Court. Q: What are grounds for an appeal? Legal errors being made in the first trial – This can include evidence not being properly admitted, a lack of evidence to support the guilty verdict that was handed down, etc. 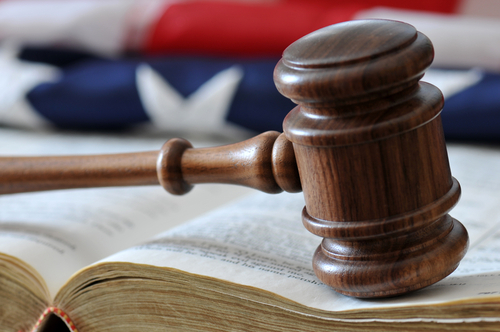 Juror misconduct – For instance, this grounds for appeal may apply if a juror was using alcohol or drugs during the trial or deliberations and/or if at least one juror was communicated with witnesses in the case. Ineffective legal counsel during the first trial – For this grounds for appeal, it has to be proven that the defense lawyer in the first trial did not properly or sufficiently represent the convicted person and that, had the convicted person had effective legal counsel, the outcome of the case would likely have been different. Look for the upcoming second part of this blog for some more helpful information regarding appeals cases in Colorado.